A bit of a slack week this week sorry- I have just come back from some time away in Queensland, everything just happens so much earlier there which equates to loooong days and now a very tired me! I was partly up north to attend a weaving class (Previously written about it here) with Maryanne Moody. It was in the most amazing space at Toby Scott Studios in Brisbane and brilliant fun, I will include a pic below of what I have made so far, still learning but so far not too shabby. I highly recommend classes run by The School (of which this course was run through), although generally based in Sydney they run creative classes in different cities at times during the year. 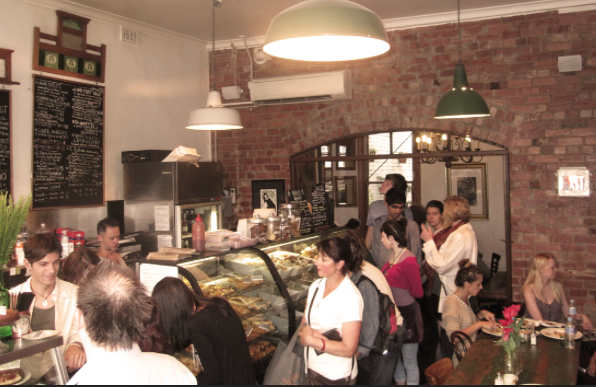 In Melbourne we have such a huge café culture, food and coffee are a huge deal. I will drive anywhere for a great food and coffee experience. I cant be too specific on the coffee I just know good and not good but most of these places are quite technical with their coffee and known for good quality. There are way too many places to list but here are a few of mine mostly over my side of the city. I’d love to hear of anywhere you love to go as well!! Admittedly, the coffee is not great at all but the food is amazing. A small place with a great atmosphere, these guys bake all their own food, and I am yet to have a bad meal there. From brekky to lunch to pies to something sweet- amazing salads and curry- there is no particular style but everything is done well! I recommend the vanilla slice, it is so good! Hard to find as there is no sign but they are smack bang next door to True Blue Shoes- enormous blue shoe store. This little gem is tucked off Victoria street in Abbotsford and does both coffee and food very well. Extensive coffee menu and the specials are always the best choice for brekky- their salads and pulled pork rolls are amazing. The space is amazing and always having fresh flowers is a winner with me too. Three Bags falls in to a category with a few others who I hear are all designed by the same people- aesthetically they are similar so this makes sense, but they are similar in food and coffee too- Proud Mary for example. If you can’t get into Three Bags on a weekend pop the other side of Hoddle Street to Proud Mary for a similar experience (172 Oxford Street, Collingwood). 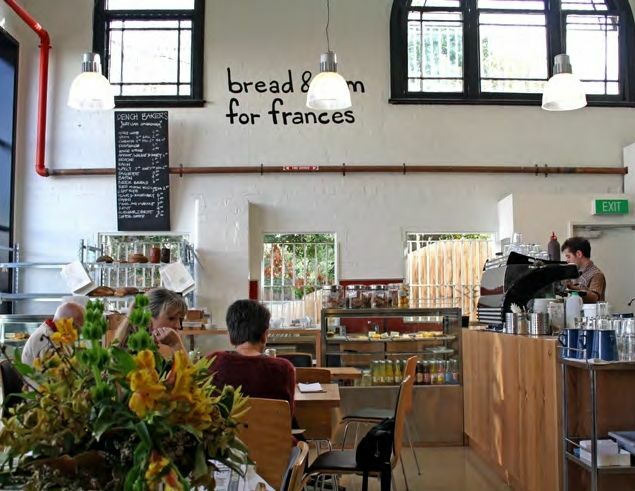 I recently went here for a girls breakfast and was pretty impressed considering there were 10 of us and a café full of people, service was fast. 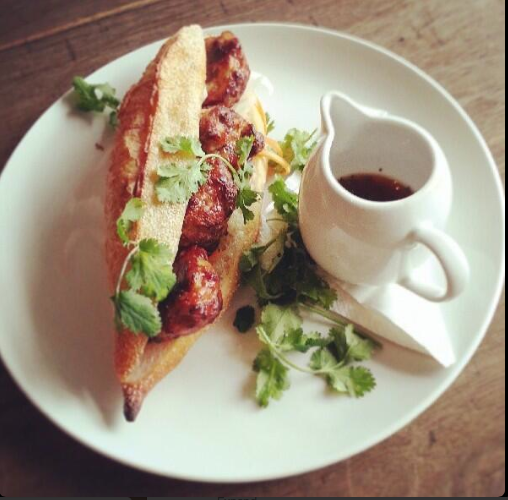 A newcomer to High street, Little Henri is a great looking space, coffee was pretty good and food was delish. 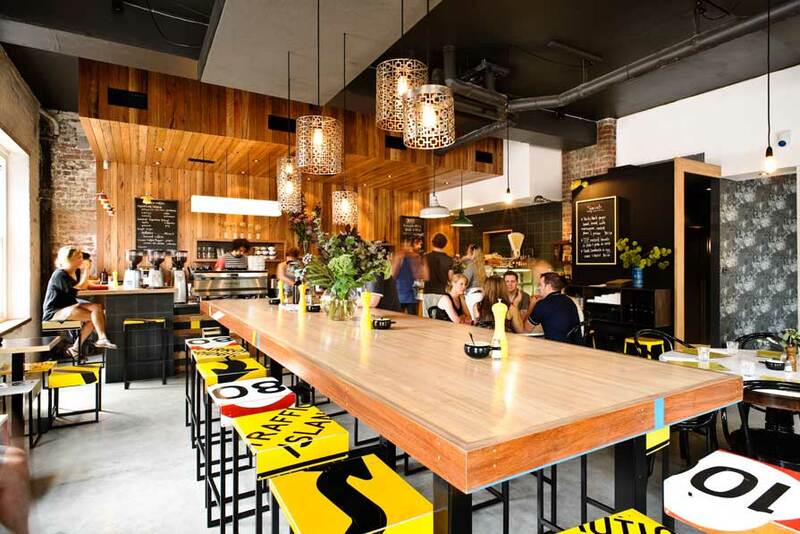 Ok so this is owned and run by friends of mine but besides from that is just great coffee and food without the huge overrun atmosphere of most cafes. The corn fritters are my favourite, there is some special pepita mix on top which I’m still trying to weasel the recipe out of them its so good! This is conveniently placed at the back of Readings bookstore, and I have to say makes the best salted caramel tart ever. Just down the road from my work I have been known to pop in to grab their mini beetroot, mint and feta ciabatta and a salted caramel tart. Coffee is decent too- their iced coffee is my summer favourite! 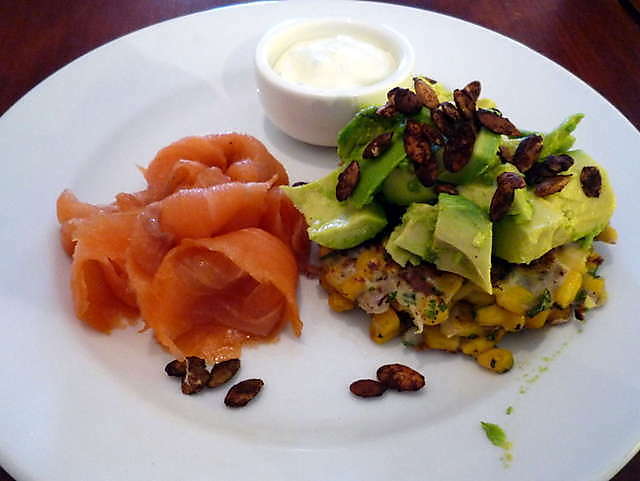 Forth Brother’s corn and herb fritters with those amazing pepitas! 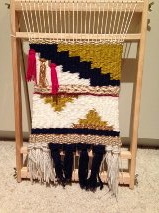 And Lastly, my weaving attempt. Sorry its a bit of a small pic. Ready to be hung!